GLAD TO BE ALIVEWhile on duty the AL-10 was once mistaken for a U-Boat and attacked by a U. S. destroyer. Unable to identify itself, the submarine dived but was bombed with depth charges. It emerged again and was finally recognized. 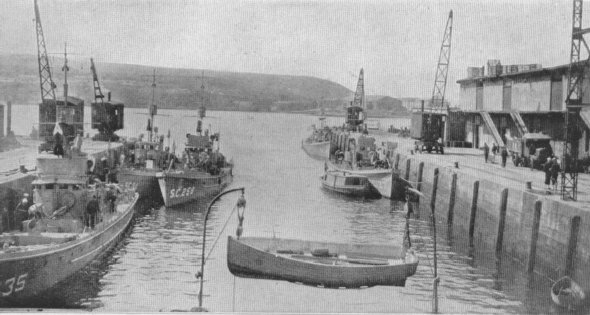 "CINDERELLAS OF THE FLEET"Over 400 of these sub-chasers were built during the war. Manned mostly by American college men, they were intended primarily to guard the home shores. 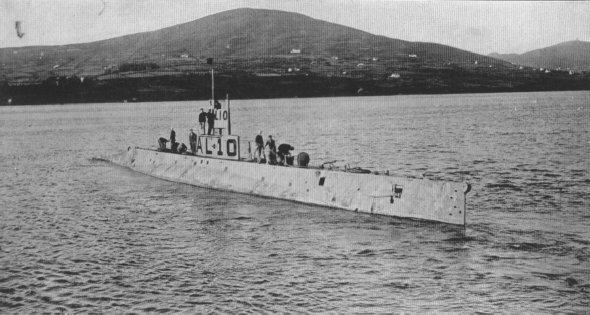 Many were sent across where they served effectively against the submarines.